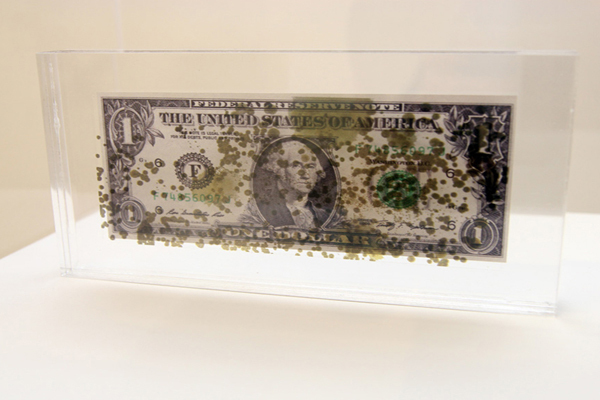 Images of bacteria & fungi grown from the surface of banknotes at the CIIE labs. Digital prints, embedded in acrylic. Money, the essential component of trade and the most physically touched object in human culture, provides a rich environment for the transport of bacteria, fungi and viruses.